The Surface Studio AiO will reportedly swap to a modular design - Surface monitor, and surface PC unit - with possibly more modules - delivered with a Surface twist or flair. There is a Surface-branded ambient computing device in the making, delivering Cortana to the home/office environment. 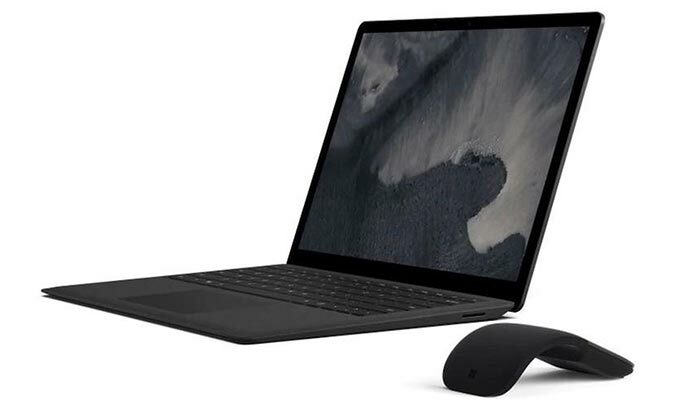 In 2019 Microsoft is looking into launching an AMD-based Surface Laptop. The chip choice would likely be from the upcoming AMD Picasso APUs. HEXUS collected together some early information regarding AMD Picasso APUs back in July this year. In brief these APUs will be the successors to Raven Ridge APUs on desktop (AM4) and laptops (FP5) in 2019. Current AMD motherboards and laptop designs should need minimal tweaking to accept the new processors. 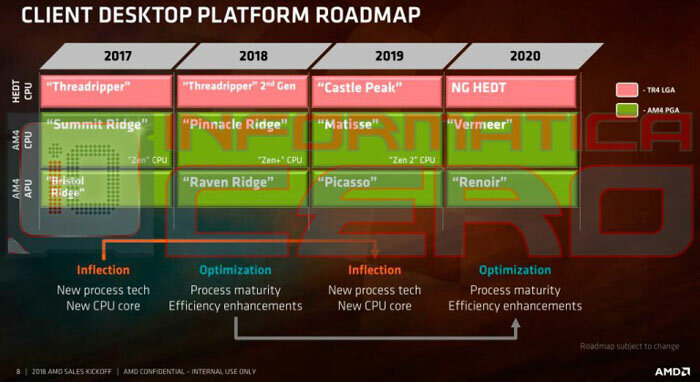 The AMD Picasso line will refine the Raven Ridge offering with a new CPU core and new process technology and deliver a power/performance uplift according to leaked slides. Microsoft's Surface Headphones have become available in the UK. The wireless headphone with right ear volume dial, adjustable headband, memory foam ear cups, four microphones, 13 different levels of ambient noise cancellation, and 15 hr battery life can be had at retailers such as the Microsoft Store, John Lewis, and Currys PC World for £329 in the UK. As NeoWin reports, you can charge these headphones via USB Type-C and connect via Bluetooth or the detachable 3.5mm audio connector terminated 1.2m cable. Agreed - TB3 should have been there since SP5. There's other sillies - i've got an SP4 and just bought a Go LTE (well, I made the boss buy it for me). I got the surface port to USB-C adapter so I can use the Go with a USB C monitor and charger. The adapter works with the 3 year old Pro but not the Go launched after the adapter came out. I can't use it to charge the Go via USBC or for displayport output or USB, so it's basically useless. Because we don't already pay Intel enough, we have to pay a license fee for this unimpressive plugging together of technology? I actually miss having an old school docking station for my work laptop, I think the big thick cable that plugs in the side is an eyesore that takes up valuable desk space.